The award-winning Race of Their Lives – the documentary showcasing the incredible achievements of the Clipper 2017-18 Round the World Yacht Race crew – is set to return for the Mighty Pacific Leg 6. Broadcasting across the UK on Sky Sports Action SD and Sky Sport Mix from today, Episode 5 will detail how the non-professional Clipper Race crew handled the world’s biggest and most remote ocean – the North Pacific. The story begins in the Host Port of Qingdao, the longest standing partner of the Clipper Race with a relationship spanning 12 years. After a legendary warm welcome at the brand new, state of the art Wanda Yacht Club, watch as the Clipper Race crew and team fully embrace the local culture and take in the sights and sounds of Qingdao. It is here they prepare before setting out across one of the toughest sections of the entire 40,000 nautical mile circumnavigation. 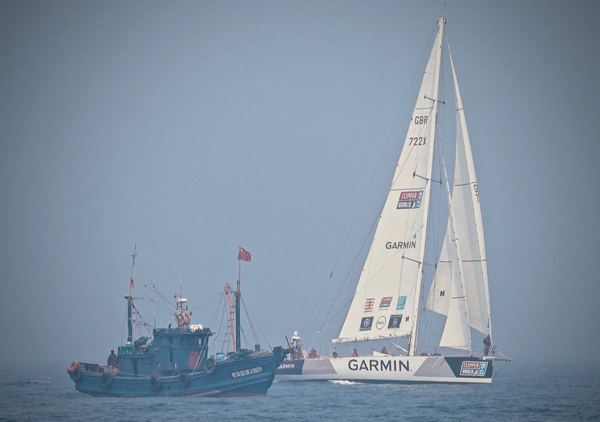 The start of Leg 6 was difficult: dense fog, light winds and the route brimming with fishing vessels. With frustrating winds and difficult tactical decisions to make, Episode 4 features the highs and lows of the choices made on board. Racing over 5,500 nautical miles is no mean feat and we witness as the crew overcome the challenges of nearly 30 days at sea, facing hurricane force winds and sea states that reach phenomenal status, with waves over 14 metres high. Amid the tough and exciting conditions, we revel in the sense of personal achievements, relationships and bonds experienced by the crew as they take on one of the milestones of the Clipper Race circumnavigation. We even relive a day as the fleet crosses the International Date Line and mark the route back eastwards once the degrees of Longitude reach zero. Safely taking on these challenges and successfully achieving a feat so few have taken on leaves the crews exhausted but beaming with pride and the sense of achievement is clear to see. 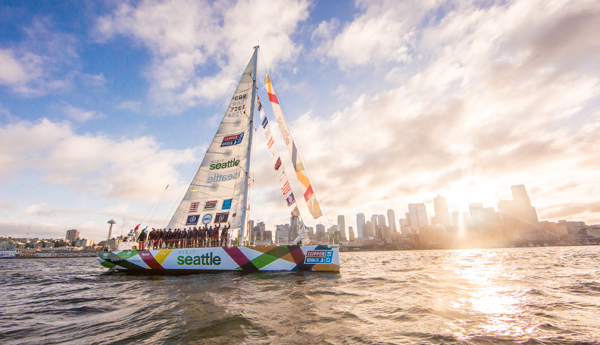 Arriving to the emerald shores of Seattle is a sight and feeling that they won’t forget and we get to experience some of the joy of their arrivals and celebrations of the Prize Giving awards hosted by Host Port Seattle. An unmissable episode of the Race of Their Lives.